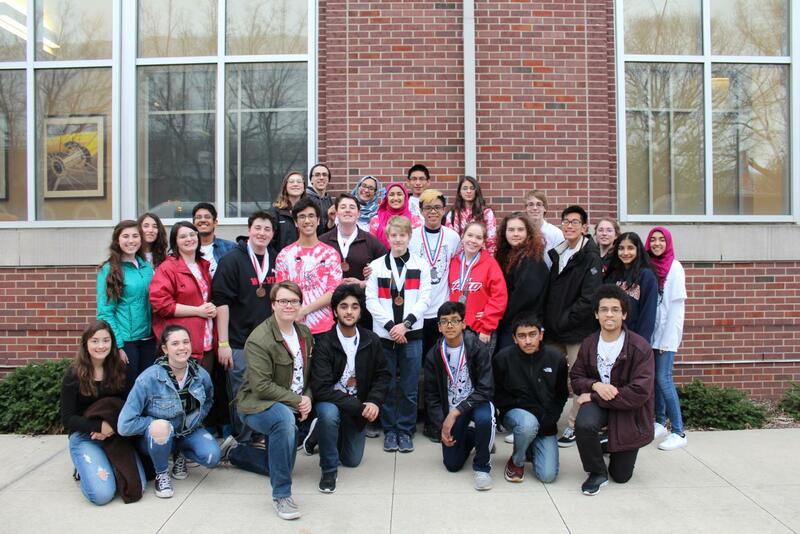 The Niles West Science Olympiad team poses for a group picture at the 2018 state tournament. With the Science Olympiad season rapidly approaching its end, the team is working on improving their performance for the final competitions of the season. Their goals are high but achievable; they hope to qualify the team for the state competition down at the University of Illinois at Urbana-Champaign. There are three teams that West will have to compete against in order to move forward. Senior Hana Frisch is getting ready for the last competitions of the season. Most recently, the team competed at the University of Chicago at one of the hardest invitationals of the year. Senior Muhammad Afzal reflects on the struggles and successes of the season fondly, proud of what the team can achieve. Looking back, the season so far has also been going well. The team has had several medalists at multiple competitions, but most importantly the team has been giving the freshman and sophomores important foundations in both general science and for succeeding in future years of Science Olympiad. “The goal for the year is to make sure the students learn science! We also hope to help our Freshman and Sophomore students improve in their ability to compete in Science Olympiad so that we can build the team for the future,” Boll said. With the most stressful parts of the season coming up, 3420 and the surrounding areas are busy with talk of building, engineering, and science. The team is always looking for new members, so if you are interested in joining next year, stop by and take a look at the team functioning at its prime.